Life In A House of Blue ! : Kiss My Face ! Home > Giveaway > Kiss My Face ! About the company : "Kiss My Face created the kids collection because they know parents want to teach their child/children on how to make good decisions naturally. Whether it is about what they eat, wear or put on their skin, today’s parents are teaching their kids the importance of choosing natural products whenever possible. Kiss My Face, a company that has believed in making natural products since they were founded in the 1980s, uses natural ingredients to create products that won’t harm the earth, or your skin! The packaging was designed to bring awareness of endangered species and the importance of making a conscious effort to help preserve the environments these animals live in, with the goal of getting these animals off the endangered species list one day. " By visiting th e Kiss My Face website kids and parents can learn more about endangered species, plus have fun with games and videos. there are even coloring pages for the little ones! Kiss My Face launched the site to celebrate the launch of its collection for kids, which features endangered species like Terell the Tiger and Preston the Penguin on its packaging. The kids collection has pictures of various endangered species and provides facts and tidbits on each animal. The products are free of artifical color, fragrances, parabens, SLS, and features natural ingredients such as green tea extract,nettle extract, and tea tree oil. Kiss My Face makes great natural body care products for all ages, they don't test on animals nor do they use animal products, they use responsible production practices.y retail stores. I recently had the chance to try out their Kids Line, which is quite extensive. I LOVE the light orange scent we received the products in called "Orange U Smart" When Bryce finished his bath besides being squeaky clean, he smells so good I can "sniff" him all night. The one thing in the line I would love to see is a lotion in the "Orange U Smart" scent to go with the other products. You can purchase Kiss My Face Kids products at KissMyFace.com and at Target Stores, Whole Foods Market and natural food stores. Prices range from $5.95 to $9.95. 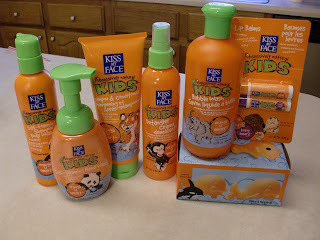 WIN The entire Kiss My Face kids collection(pictured above)! I would love to try out the detangler for my daughter! Winner has been emailed, you have 48 hours to claim your prize. I would love to try the cleansing crème! I would like to try to the foaming shampoo and body wash. I'd love to try the Olive My Body™ Body Balm. I'd love to get the Self Foaming Hand Wash. Lavender shea ultra moisturizer. They also have honey, and patchouli scents... I'm going to have to try all three! I'm sure my friend would like to try the detangler on my God-daughter's (her daughter) hair. The peach and creme face and neck moisturizer would be lovely! I'd love to try the Coconut Pineapple Lip Balm. Thanks. My son has very sensitive skin, so I'd like to see if this works. I have the Life In A House Of Blue Button, thanks 4-x chance. I follow your blog, thanks 4-x chance. I want to try the coconut pineapple lip balm. I'd love to try the Hand Alert with rosemary and mint! The Coconut Pineapple Lip Balm looks yummy. The whale soaps are cute. I like the bubble baths too. I'd like to try Sheer organic shimmers & shines in Garnet Shimmer. I'd like to try the whitening aloe vera toothpaste. I'd like to try the coconut pineapple lip balm--yum! Thanks for the contest! I would love to get the foaming shampoo & body wash - Berry smart because I know the children would just love it. 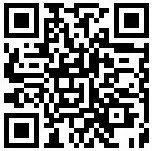 Please remove my prior post about fan of Facebook wrong email addy, so sorry. i really like their lip balm! I would like to try the foaming shampoo & body wash for the kids. June 6, 2009 at 4:39 PM This comment has been removed by a blog administrator. I follow you on Twitter and have tweeted. Kiss My Face products seem fantastic!! I'd love to try the Kiss My Face Tinted Moisturizer in the Manila color. I like that this product multi-tasks by hydrating, protecting and offers a hint of color, now how great is that?! Thanks so much for the chance to enter. I am most interested in trying the foaming shampoo and body wash scentless. I want to try the foaming shampoo. Thank you! I like the self foaming hand wash.
My grandsons have huge curls, and longish hair... so cute! But a bare to brush or comb out esp. before baths! So the KMF detangler would be a prayer answered! Also I like the combo foaming shampoo & bathing wash. Nice to have less products to hunt for in a slippery tub! I have you listed in my blog roll ! I would love to try the cleansing crème for your face. I would love to try the miss treated shampoo and conditioner. Thank you! I would love to try the early to rise shower and bath gel and the c the change ester c® serum! I want to try the toothpaste with fluoride. I'd like to try A Whale of a Soap - Berry Smart. I like the berry foam shampoo and conditioner. I would like to try the kids detangler. I would like to try the peaches & crème ultra moisturizer. i love the kids whale soap! I would love the self foaming hand wash..i don't know why but the kids think if it doesn't foam it isn't soap.. I would love to try the detangler for my kids. I want to try the foaming shampoo and body wash! I like to try foaming hand wash. Makes it easy for kids to want to wash their hands! I'd like the 2-in-1 shampoo and conditioner to make hair washing that much faster for the kids. I would love to try the detangler. My son would like the foaming shampoo and body wash.